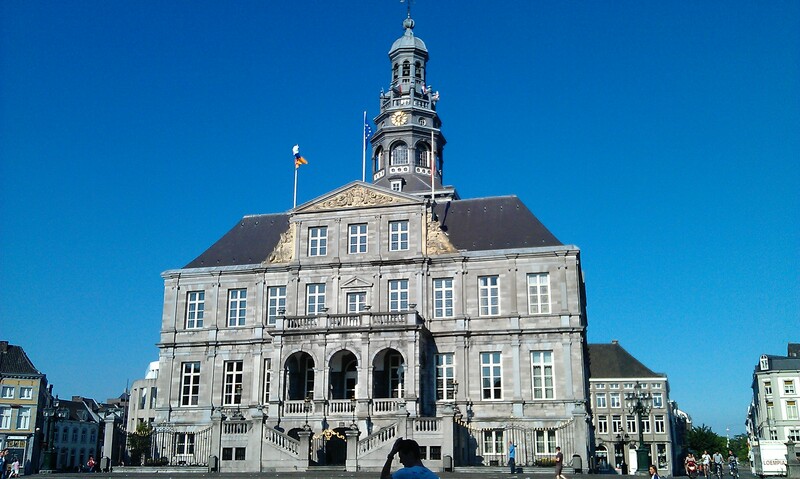 On my way home I stopped over in Maastricht. My mum had told me how beautiful and worth the visit Maastricht was and I had actually first plannend meeting Tine in Maastricht instead of Brussels. So I thought I wanted to have a quick look around, seeing what it was like, as it was on my direct way back home. To be honest, we didn’t miss much. Maastricht is a beautiful, true. But it as exciting as every other medium sized town with quite a few old buildings. For me cities like Ghent or Lüneburg, two not very exciting cities, had more to offer. I started from the Vrijthof as this was were my GPS let me when I told it I wanted to go to the city center of Maastricht and the center it definitively was, plus it had a car park so I didn’t have to look further for a parking space. 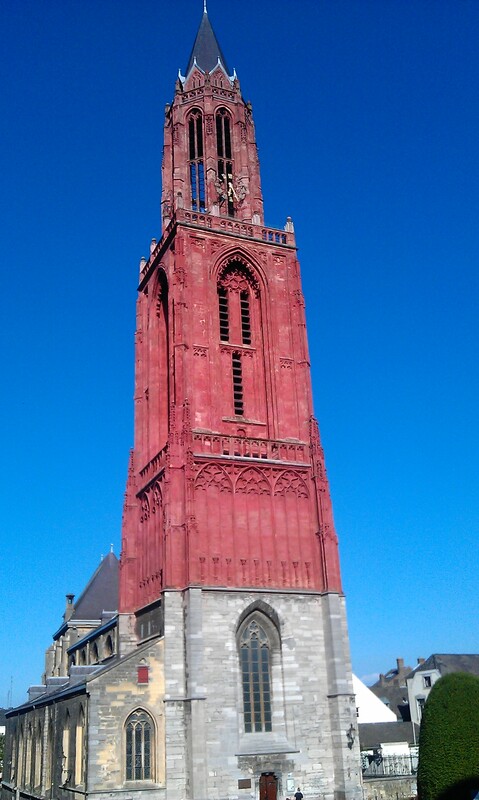 Here was the first thing to see: two churches dirrectly next to each other: catholic St. Servatius Basilica, a Romanesque cathedral and protestant Sint Janskerk with its red bell tower. I ventured on without a map. 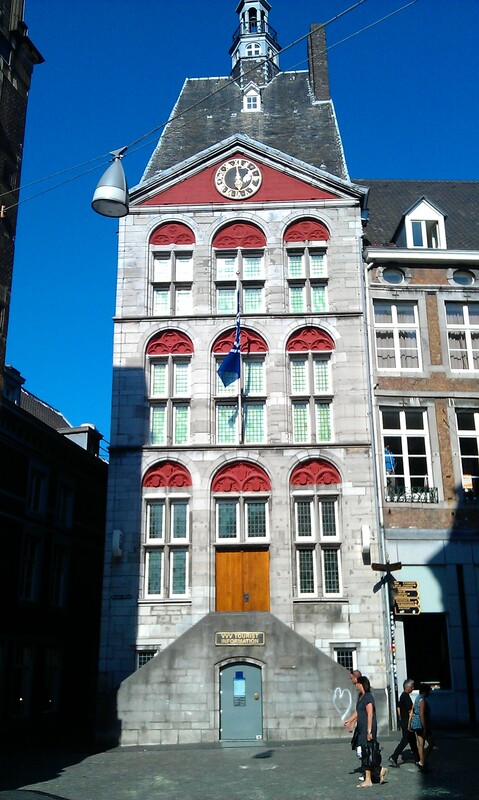 But thanks to some well placed signes, telling you where to find what monument, I found the tourist info, housed in a beautiful old house, but unluckily enough closed. That was something that bothered me. I expected the tourist information to be open even though or maybe especially because it was sunday and Maastricht was full of people, many of them obviously tourists. But there was nothing to do: I checked the map on the closed door and went to see the Maas, the river that runs through Maastricht. On my way back from the river I went to see the townhall and the market around but than decided not to go to one of the many cafes as they looked quite touristy and old fashioned but rather to just quickly grap something to drink and be gone before my first hour in the car park was over as it was heavily expensive. You can park in Dusseldorfs Altstadt for less. Of course you can’t judge a city complete after just one hour, but if you see the city center you get a kind of feeling for it and my feeling for Maastricht was rather indifferent (beautiful but not exciting, rather touristy and oldfashioned than young and hip). And there is so much more to explore in Europe so I won’t likely be coming back for more soon. 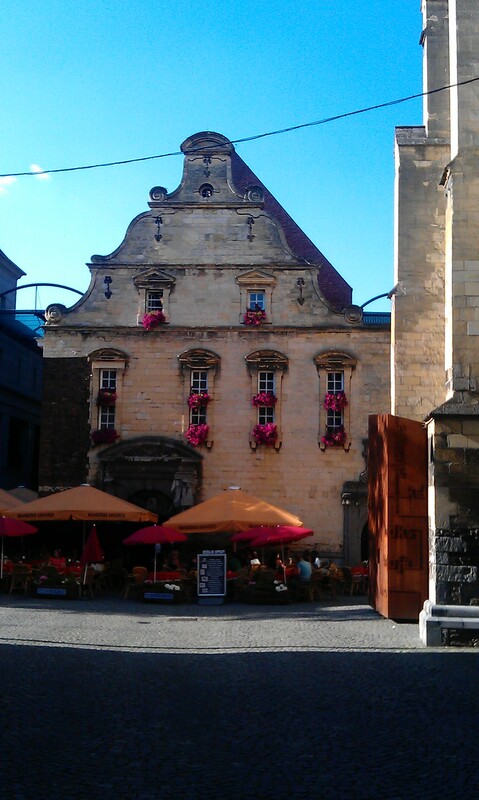 This entry was posted in Netherlands and tagged Maastricht, Short Trip, Summer by kathatravelling. Bookmark the permalink.